Content marketing using white papers and eBooks offers a proven way to meet your marketing objectives. Both white papers and eBooks use high-value, objective information that can position your company as a thought leader or deliver a key marketing message in a format that will provide quality leads for your sales team. The key to success in content marketing whether creating a successful white paper or producing an eBook is working with a knowledgeable editorial team that understands the information needs of the facility audience. Our editorial staff has more than 85 years of combined experience covering all aspects of the facility market — a knowledge base you can't find anywhere else. We provide a turnkey approach to creating high value content to meet your needs. A white paper is an indepth report delivered as a print-ready PDF. White papers may report on an emerging concern, analyze a trend, or examine developments in technology. The specific topic is determined in consultation with your team. A typical length is 2,000 words. If original research is needed, we can work with you to gather information to support your goals. Then our experienced editors and writers take over, conducting interviews, gathering information, and drafting the white paper for your review. From there, we design and lay out the white paper, providing graphics resources and using your template or creating one for your project. We offer the option of co-branding the white paper with your brand, Building Operating Management and Facilities Maintenance Decisions. The finished white paper is suitable for printing, for posting on your website, and for other marketing purposes. You own the white paper – the content is yours to use as you need. An eBook is designed to be read on a tablet or desktop. Appealing graphics help deliver key points, often with fewer words than a white paper. After consultation with your team to brainstorm topics, sources, and approaches, our expert staff will research, write, and lay out an eBook of approximately 1,800 words, which will be delivered as a PDF. As with white papers, our staff offers a turnkey approach. We handle the entire process, information gathering, content creation, graphics, layout, and distribution. And the eBook content is yours to use to meet your marketing needs. Quantitative data drawn from surveys of building owners and facility managers can add credibility to a custom white paper or eBook. Our experienced editors and market research staff brainstorm with your team to develop survey questions. We conduct the survey and provide you with full results, which you can use for any purpose. Our proven distribution strategies combine a variety of tested methods to put your carefully crafted message into the hands of facility decision makers responsible for the nation's largest buildings and portfolios. 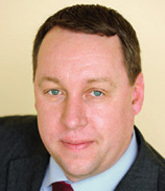 Edward Sullivan is editor-in-chief of Building Operating Management magazine. 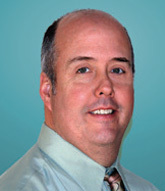 He has nearly 30 years of experience covering the gamut facility technology and management topics. He leads the custom content development team. 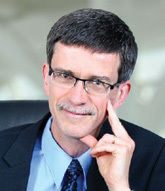 Dan Hounsell, editor-in-chief of FacilitiesNet.com and editor-in-chief of Facilities Maintenance Decisions, has directed coverage of maintenance and engineering management topics in institutional and commercial facilities since 1993. Dan has written articles on the entire range of challenges facing managers, including technology trends, financing issues, personnel and project management, and maintenance strategies. Greg Zimmerman, executive editor of Building Operating Management, has been covering facilities management, design, and construction since 2003, regularly writing on high-performance buildings, sustainability, LEED, and bridging the gap between design intent and operational efficiency. 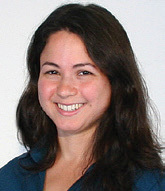 Naomi Millan is senior editor of Building Operating Management. She has been a writer and editor for the magazine since 2008. Prior to that she was a facilities coordinator with Trammell Crow and CBRE. Her areas of interest range from examining the holistic impact of the built environment on occupants; to building sustainability and resilience; to FM leadership and career development. 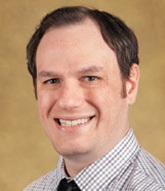 Ryan Berlin is the managing editor of Facilities Maintenance Decisions magazine. He covers an array of facility maintenance and management issues, including project management, technology trends, staff training and career development. The benefits of content marketing re numerous, here are just a couple that can make a difference in your marketing efforts. Content marketing gets three times the leads per dollar spent as paid search. Our experienced editors brainstorm with your team to shape topic and develop survey questions. You get full approval of the content outline and survey questions that are developed by editors. Our content development and market research teams conduct the survey and create the content for your approval. Our staff lays out the white paper or eBook for your approval. You get a finished PDF that you can use for any purpose – you own the content. Electronic distribution options give you multiple ways to reach our audience and generate leads. Additional visibility options can be customized for each program.